Destination 4 - Arequipa - Global Happiness Family - Traveling family finding sustainable development goals around the world. 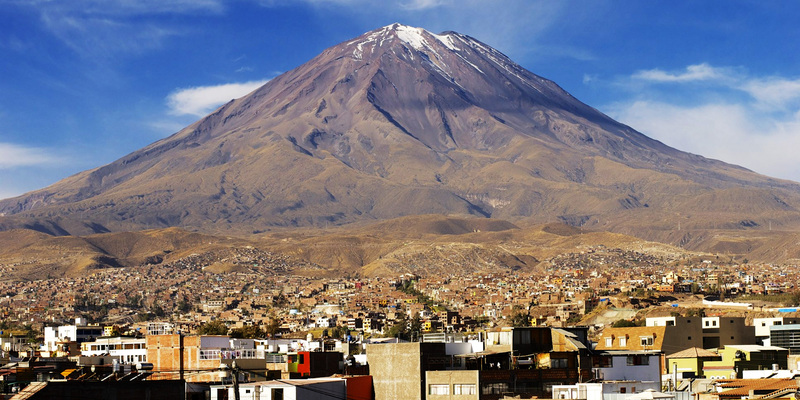 Pronunciation: [aɾeˈkipa], which in Aymara language translates to “behind the peak,” (from ‘ari’: pointed; and ‘qhipaya’: behind) referring to the nearby volcano, Misti. Do you like volcanoes? Do you know a sustainable Development project in Peru? Please leave a comment!